Support for the controversial badger cull appears to be faltering among veterinarians who believe it should not continue without further independent analysis. A cull target of 615 badgers in Gloucestershire and 316 in Somerset was given, but the Humane Society International claims 253 badgers have been killed in Gloucestershire, 362 animals short of the minimum kill target of 615. An expert panel said the controlled shooting was 'not effective'. John Blackwell, BVA president, said: “It is no secret that some of our members are frustrated by the lack of independent analysis this year and we are disappointed that it has not been put in place to give confidence to our members and the wider public. "We have made it very clear to Defra that our ongoing support should not be taken for granted and that we will make our own assessment of the data when it is published." Humane Society International UK’s Professor Alastair MacMillan said: “Humane Society International UK has long been warning that the BVA’s public endorsement of the badger cull fails to reflect the misgivings of many veterinarians, and in fact a significant number of vets do not share the BVA’s support for the cull at all. He added: “We already know from last year’s data that the badger cull causes significant and prolonged animal suffering, and that many vets agree with the majority of other scientists that shooting badgers is ineffective in controlling cattle TB in the first place. But the National Farmers' Union said farmers are losing their livestock to the disease and action needed to be taken. NFU President Meurig Raymond said: “Bovine TB continues to devastate farming family businesses across large parts of the country and it is essential that we do everything we can to control and eradicate it. Last year more than 32,000 cattle were slaughtered because of this disease and more than 4,700 additional farming families saw their businesses affected by it. 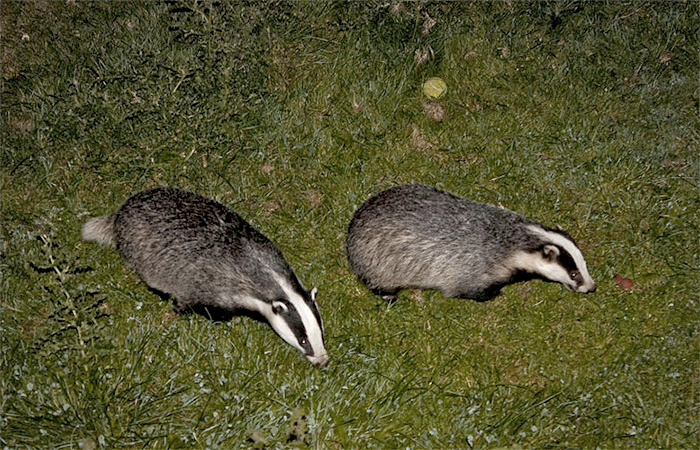 “In areas where the disease is endemic, like the South West, action must be taken to control it in badgers if we are to stop reinfection occurring and have any chance of wiping it out. This has been acknowledged by the Government and is reflected in its 25-year TB eradication strategy. “Both cull companies have worked closely with Defra and Natural England to ensure that the recommendations made by the Independent Expert Panel to improve the delivery of operations following last year’s culls have been implemented. The government had been urged by charities to extend its limited Badger Edge Vaccination Funding Scheme as an alternative to culling. The Chair of Natural England's Scientific Advisory Committee described the culls as an “epic failure”, and the vast majority of independent scientists agree that a cull can make no meaningful contribution to controlling TB in cattle. "By contrast, badger vaccination using the injectable BCG vaccine is a viable alternative, and DEFRA is promoting public funding for vaccination projects in the 'edge' area bordering the region worst affected by bovine TB in England," the organisation said.